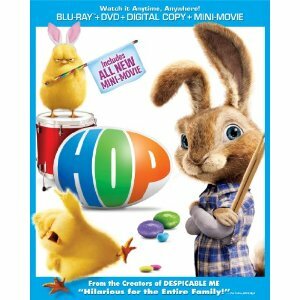 WorldMovieStore - Hop Sinopsis. Hop is all about achieving one's dreams, regardless of how fantastical those dreams may seem. Hidden deep inside the mouth of a moai statue on Easter Island is a candy factory that produces the world's Easter candy and looks like a cross between Willy Wonka's Chocolate Factory and Santa's Workshop. The Easter Bunny and a very bossy chick foreman named Carlos take their responsibility to make Easter happen very seriously. --Tami Horiuchi. Read More Sinopsis. 0 Response to "Blu-ray Release Hop"